HOUSTON (KTRK) -- Authorities are searching for the two suspects responsible for a violent Greenspoint-area robbery that left an elderly woman in need of a hip replacement. 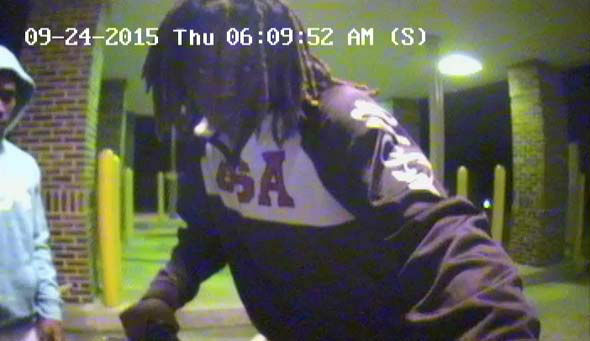 The attack happened around 5:50am on September 24 in the 6700 block of Greenspoint Park Drive. According to Crime Stoppers, the victim had just parked her in front of the business where she works. 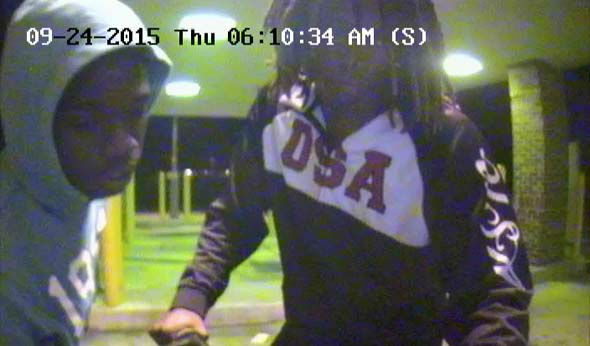 As she stepped out of her car, two suspects knocked her to the ground and stole her purse. Officials say the shove was so violent that the victim suffered a hip injury and is now in need of a total hip replacement. 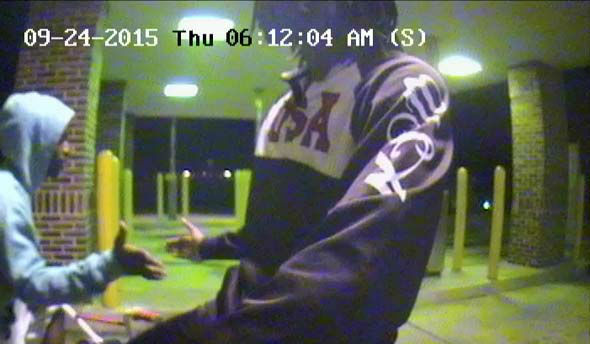 Surveillance cameras captured the suspects using the victim's stolen credit card about 30 minutes later at a nearby ATM. 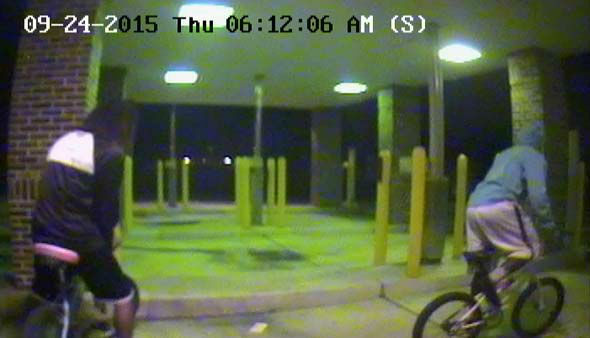 The first suspect is described as a black male, between 17 to 22 years of age. He's about 5'6" with shoulder length, braided, black hair worn. He was wearing a black sweatshirt with the words "USA" printed on the front with dark colored pants at the time of the crime. The other suspect is described as a black male between 16 to 19 years of age. He's approximately the same height as his accomplice. He was wearing a gray hoodie at the time of the crime. Crime Stoppers will pay up to $5,000 for information leading to the charging and/or arrest of the suspect(s) in this case. 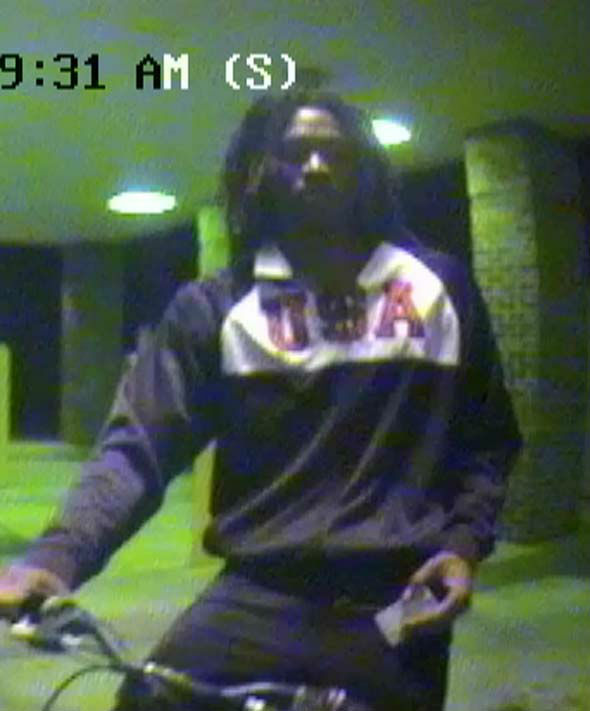 Information may be reported by calling 713-222-TIPS (8477) or submitted online at www.crime-stoppers.org. Tips may also be sent via a text message by texting the following: TIP610 plus the information to CRIMES (274637) or via our mobile app (Crime Stoppers Houston). All tipsters remain anonymous.